1-800-333-2433 (Connects to the Senior Linkage Line, an information and referral line, which will direct callers to appropriate reporting agencies). To reach the Minnesota Office of Ombudsman for Long-Term Care, telephone: 1-800-657-3591 (TDD/TTY, please call 711) or 651-431-2555. Individuals wishing to report suspected elder mistreatment may telephone the state help line listed above, or visit the Adult Protective Services Unit page and navigate the County Directory for Common Entry Point (CEP) contacts. 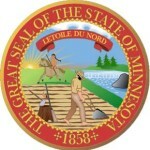 Minnesota elder abuse statistics and/or other publications are Available Here. Visit the Minnesota Adult Protective Services web page.